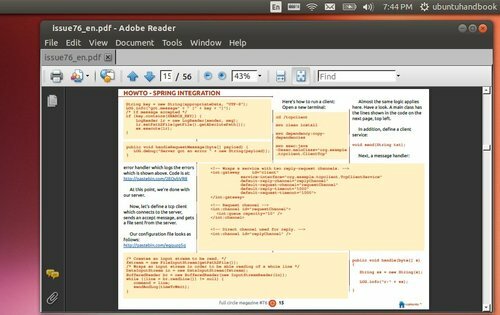 This quick tip is going to show beginners how to install Adobe Reader 9 in Ubuntu 13.10 Saucy Salamander. Adobe Reader is available in Canonical Partners repository for Ubuntu 13.04 Raring and earlier. At the moment the repository is not ready for Ubuntu 13.10. So this tutorial will show you how to install it via the official DEB package. UPDATE: the easier way to install Adobe Reader DEB on 64 bit Ubuntu is using Gdebi, which will automatically install all dependencies. 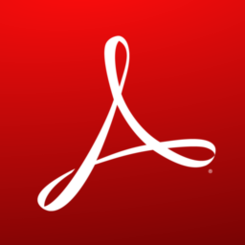 Once installed, open Adobe Reader from Unity Dash or right-click your PDF files to open it via Adobe Reader. UPDATE 1: Thanks for your comments! I’ve rewritten a clean tutorial about how to install this in Ubuntu 14.04 Trusty. This was super helpful… some stuff went wrong when upgrading to 13.10…now rebuilding everything. Thanks! Selecting previously unselected package libgtk2.0-0:i386. I’m have a ubuntu 13.10 x64. Does anyone can help me? Use Gdebi, which is available in Ubuntu Software Center. This simple graphical tool makes things easier. Gdebi displays no error but simply quits while attempting to install. I have 32 bit version of ubuntu running. Then, I added execute permission to the file I’ve downloaded. Lastly, I ran the latter file as superuser. You will be prompted for the install directory (which by default is set to /opt). Just hit return key. Then wait for the installer to finish. Running into error while loading shared libraries: libstdc++.so.6: wrong ELF class: ELFCLASS6. I know what this means; however the question is do I need a 64bit version of adobe (don’t think they make one) or a 32 version of the lib? I got this type of message after I had followed the instructions by Glenn. Can anyone tell me what I need to do now? Fortunately I found the way how to fix it and it works for my 64-bit computer. That last line fixed it for me in a fresh install of 14.04 on a 64-bit system. Last line did the trick for me, too, in a fresh 14.04, after first installing using Adobe’s .bin file. Complete noob here, please excuse elentary mistakes etc! I’m using 13.10 and I’ve tried both approaches outlined here (i.e. the 64-bit one described by Jim in the OP, as well as the Adobe installer technique described by Glen. I made sure to install the 32-bit libraries first. However, neither approach has worked. Can anyone tell me how to uninstall the package added by the Adobe installer please? apt-get uninstall and apt-get remove don’t ‘see’ the package at all! Sorry to hear that this didn’t help. Not sure the exact name, just type adobe and press TAB key to autocomplete the name. 2. If you were instal the AdbeRdr9.5.5-1_i486linux_enu.bin file. Just remove the adobe folder from the install directory, by default its /usr/bin, @Glen was suggested to install in /opt. NOTE: you need to run below command to open your file browser with root privilege and then detele adobe. Don’t remove other system files except you know exactly what they are! Jarl – that fixed it for me. Mucho thanko to you and others who helped. Thanks Jarl. That worked for me!! Osman – thank you for your information – this got Adobe working for me in 13.10. Also thanks to all the other contribututors.